Eric Arnold is unabashed when he talks of Planswell’s ambition to create financial plans for as many people around the world as possible. 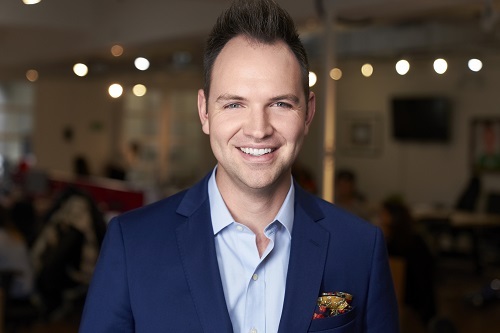 It’s a bold claim but the CEO of Canada’s first online financial planner is one step closer after raising an additional $4 million on the back of building 100,000 plans for Canadians. He announced yesterday that the firm is in the early stages of expanding into 12 countries across Europe, Asia and Latin America and will use the money to enhance products and add key hires. With a staff of about 60, the former CIBC Wood Gundy employee is not shy of ruffling feathers in the financial world. The last time he spoke to WP he explained how his motivation behind Planswell stemmed from seeing “absolutely terrible” advice across the industry hurt clients. Unrepentant, and with global expansion now firmly in his sights, he reiterated his belief that people are having their “lives destroyed” by events that could have been planned for. Nobody, he said, is serving such a wide range of the population as Planswell. Arnold added that reaching 100,000 plans in Canada is just the start and that some of the new $4 million in funding will help keep the lights on as the firm works towards profitability. The bottom line, while important, is only part of the equation as his team hone an efficient model to take international. According to tests in the 12 targeted countries, he said the desire among people to have someone build a financial plan for them is as strong if not stronger than in Canada and agreements have been reached with a number of strategic international partners. The challenges of transitioning the product into overseas markets have been aided by a new planning engine, which takes into account things like different tax rules, languages, registered accounts and different insurance markets. It’s a time-consuming upgrade but one Arnold believes will enable them to onboard 100,000s of people a day. Choosing the regions to target was based around existing infrastructure but, regardless of circumstance, the desire to maintain your lifestyle in the face of retirement or life challenges is a universal issue. His plan to establish a global footprint is grand and a work in progress but he said it will incorporate all walks of life as the planning engine’s capability to figure out more and more business models grows. He said: “There are people around the world who have a goat and need two chickens. You have to build a plan and I’m really excited to get into that. Working in parts of African and Asia, all over the world, it’s really, really interesting. Where GDP per capita is US$300, for example – how do you deal with that? It’s a road that leads to micro-insurance and micro-lending companies and Arnold admitted it is a challenge for the future, albeit one he is confident and excited Planswell can address. In the meantime, along with the initial stages of international expansion, Arnold wants to build more efficiency into the Canada business and attract more clients. He said: “At the moment it’s going really well, clients are coming on and we’re building a really valuable business here. We are focused on how we can build a model that is completely unbiased – we’re trying to do what’s absolutely in the best interests of the client every time.